A Nebraska Man Confesses to Nine Murders. Cincinnati, Dec. 21—A special from Steubenville says that Stephen D. Richards, who was placed in jail charged with the murder of the Harebon family at Kearney, Nebraska, has made a full confession acknowledging having committed nine murders within the last three years. 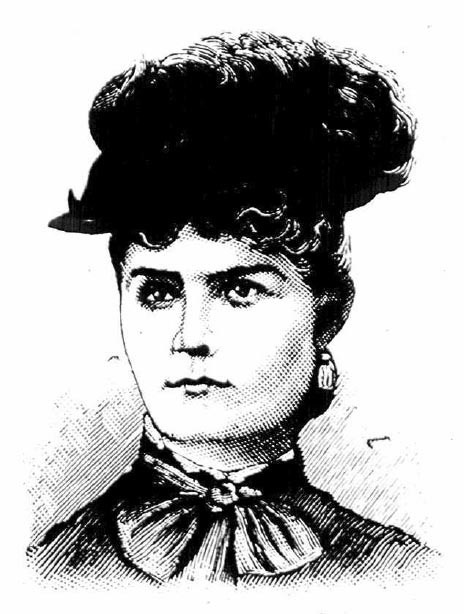 The first murder was committed near Sand Hills, Nebraska. 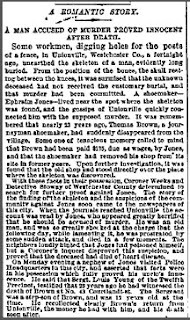 He had an altercation with a man unknown to him, and shot him through the head. The next was that of Mrs. Harebon and three children last October. He met Mrs. Harebon in jail, she having been arrested on a charge of aiding her husband to escape. When released, Richards visited her, staying two weeks when he concluded to murder her and take charge of her farm, which he had pre-empted. He broke her jaw and smashed the back of her head with a smoothing iron. He then killed the two oldest children with the same instrument, and seizing an infant dashed its head against the floor. He then gave out that Mrs. Harebon had gone to Texas to join her fugitive husband, but suspicion was aroused, search instituted, and the bodies found under a straw stack. Richards fled. Before the Herbon murder he was assisting a Swede named Peter Anderson in putting up a building. Anderson told some neighbors he believed Richards had poisoned him. The neighbors called next day but Anderson could not be found. Richards was in possession of Anderson’s horses and wagon. While the neighbors were searching the house for Anderson, Richards escaped. Richards admits he killed Anderson with a hammer. He states that he committed two other murders but refused to give the names of the victims. The sheriffs of Kearney and Buffalo counties will take Richards to Nebraska today. They think he is one of an organized gang of outlaws and cut-throats in that region. On Christmas Day, 1882, Captain David W. Paye lay dying with symptoms so severe and unusual that three physicians had been called to his home in Fishkill Landing, New York, to consult on the case. For the previous week, Paye had been violently ill, with a burning in his throat, pains in his stomach, and an unquenchable thirst. Doctors Tiel, Wilson and Jones concluded that Paye was stricken with arsenic poisoning. Late that night, in great agony, Capt. Paye died. At the time, arsenic in small doses was believed to be a cure for impotence, but Capt. Paye swore, as God was his judge, he had never taken anything to cause this illness. Though he did not accuse his wife, Mary, of poisoning him, he believed that the poison had been in a pie that she had baked; he had eaten heartily of the pie, he said, while his wife had just a little. Mary Paye tearfully denied this, saying that she had eaten most of the pie herself. Jane Finlay was a young woman employed as a lady’s maid by the family of T.B. Stork, in Germantown, Pennsylvania, who had recently discarded her lover, William Dunlap. Dunlap went to the Stork house at around 11:00, the night of September 1, 1894 and called Jane out of the house. They spoke for a few minutes on the front lawn. Passers-by heard two shots and ran to the scene to find the young woman lying on the grass with a bullet wound in her left breast. She was only able to say that Dunlap had shot her before becoming unconscious. Dunlap was nowhere to be seen. Jane Finlay died in the hospital at around midnight. Police had a good description of Dunlap but it does not appear that he was ever caught. “Shot by Her Lover,” Philadelphia Times, September 3, 1894. “Shot by Her Lover,” National Police Gazette, October 13, 1894. John Dougherty, a sixty-year-old farmer in Big Bend, Washington, decided he needed a wife and in 1892, he placed an advertisement in a Chicago matrimonial paper. He received a response from Mary E. Phillips, of Cedar Rapids, Iowa. They corresponded, and she agreed to move to Washington and marry him. It was not a happy marriage, however; for a year they “lived a cat and dog life,” constantly fighting and threatening each other.